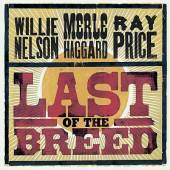 WILLIE NELSON, MERLE HAGGARD, AND RAY PRICE RETURN IN ENCORE BROADCAST OF “LAST OF THE BREED” ON PBS STATIONS – Willie Nelson, Merle Haggard, and Ray Price — the elder statesmen of classic country music who have inspired artists and thrilled fans for decades — return to PBS stations (check local listings) in an encore presentation of Last of the Breed, a once-in-a-lifetime concert event taped in March 2007 during the final performance of their sold-out “Last of the Breed” tour that played to rave reviews everywhere. Nelson, Haggard and Price (backed by Grammy® Award winning “Kings of Texas Swing” Asleep at the Wheel, led by Ray Benson, and Ray Price’s Cherokee Cowboys) deliver rousing performances of their greatest hits in the richest voices this side of the Rio Grande. 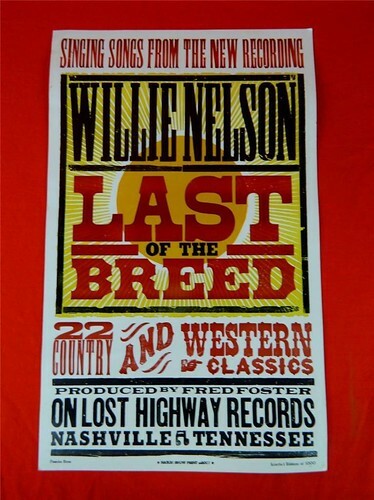 Among the songs performed in Last of the Breed are “Okie From Muskogee,” “Pancho and Lefty,” “For the Good Times,” “Night Life,” “Crazy,” “Mama Tried,” “Always on My Mind,” “On the Road Again” and many others. The timeless music — warm yet gritty, powerful and honest — is bound to have viewers singing along from beginning to end. Check local PBS station listings for broadcast dates and times. 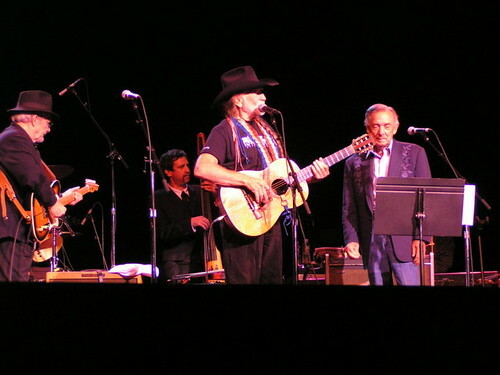 In March 2007, Willie Nelson, Merle Haggard, and Ray Price performed on-stage together for the first time in the Last of the Breed tour. 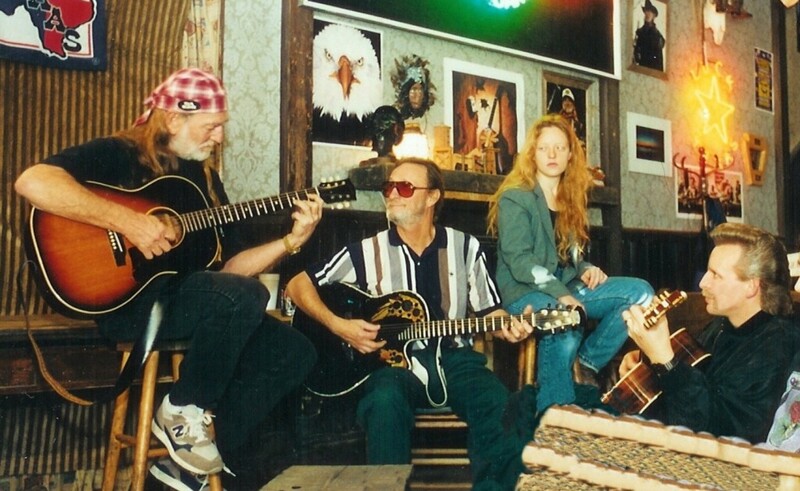 In 2007 that Willie Nelson, Merle Haggard and Ray Price recorded their Last of the Breed album, of western swing, country classics and some of the best country music ever written — most of it by them. The artists took their show on the road and toured in support of the album in March of that year. There were no 14-year-olds on that tour, but those guys toured like they were teenagers promoting their first album, blazing a trail across the country performing 15-shows in 17 days. I got to see their show a couple times here in Colorado, and I was blown away. These talented musicans were at the top of their game and were having so much fun performing together. And the music! They were joined by friend and fellow musical genius Freddy Powers, and sang their award-winning hits to sold-out halls everwhere. We all left those shows knowing we’d just experienced something very special. The Last of the Breed album was released before the tour, a double-album, and a DVD quickly followed. Now, on March 3, 2009, Image Entertainment will release a live cd, recorded from their concerts. This is good news, because it is going to get wider distribution, and will also be available, for the first time, through i-tunes for download. They are the Last of the Breed — the elder statesmen of classic country music who have inspired artists for decades. No one else sings country music with the passion and purity of Willie Nelson, Merle Haggard, and Ray Price. In March 2007, these living legends and Country Music Hall of Famers united on stage for a once-in-a-lifetime concert event that was captured for television and recorded to give fans the ultimate concert experience. Backed by the GRAMMY Award-winning Ray Benson and Asleep at the Wheel and Ray Price’s Cherokee Cowboys, LIVE FROM THE LAST OF THE BREED TOUR presents Willie’s, Merle’s and Ray’s greatest hits that they performed on this magical evening. 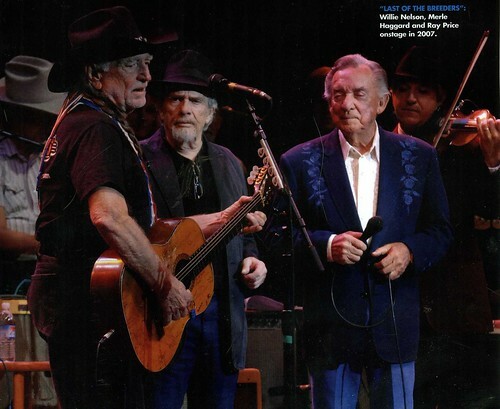 On March 9, 2007, Willie Nelson, Merle Haggard and Ray Price team up for short tour, with s Asleep At The Wheel serves as their backing band. An album and dvd were released with music from the tour. 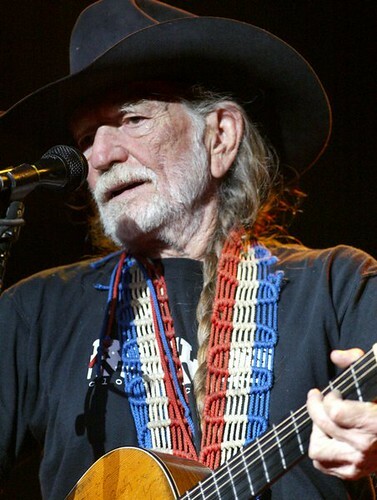 Willie Nelson and Merle Haggard â€” that just would have been easy business. And, put in terms of copyright and back catalog, it would have been a follow-through on “Pancho and Lefty” the hit record they made together almost 25 years ago. But to triangulate them with Ray Price, as the new record “Last of the Breed” does, is to structure a summit meeting on honky-tonk singing. The three singers are connected by lots of small items like the fact that Mr. Nelson used to be Mr. Price’s bass player â€” but also in one big way. They are all magnetized toward the sound of Bob Will’s Texas swing. Mr. Haggard, for his part, seems drawn to the kind of front man Wills was: a sporadic fiddle player, spontaneous organizer of arrangements and agent of the unpredictable. Mr. Price, for his part, long ago adapted Will’s twin-fiddle breaks, folding them into nearly all his honky-tonk hits of the 1950s and â€™60s. As for Mr. Nelson, a Texan, a country singer and an improviser, Wills is part of his light and air. â€œLast of the Breedâ€ came out last week on Lost Highway Records. The inevitable short and gentlemanly tour that followed â€” Mr. Price is 81, Mr. Haggard 69, Mr. Nelson 73 â€” would naturally be the live version of the record. Right? There are 22 songs on the album, from the repertory of their favorite â€™40s and â€™50s country songwriters. Wouldn’t it be enough to take that and round it off with some extras? Sure. But what happened at Radio City Music Hall on Thursday was infinitely better. 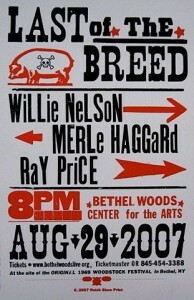 The beginning of the show was Mr. Price’s, and he played a half-hour set with his backup band, the Cherokee Cowboys. In a gray suit and red tie and moving with slow grace, he sang in his latter-day vocal style over his early-days music. The music was ironbound, honky-tonk shuffles with a steel guitar and twin fiddles; that vocal style was a crisp baritone that never bent notes, ennobling every phrase of “Crazy Arms” or “I Won’t Mention It Again” or “The Other Woman (in My Life),â€ making the deadbeats and emotional anarchists in the songs like stand-up guys. After a pause Mr. Haggard appeared, with the Western-swing band Asleep at the Wheel as his backup. He looked itchy and inscrutable. He picked up his fiddle, and things got deep very quickly. He ordered up “Take Me Back to Tulsa,” singing in his relaxed, froggy voice, picking the order of soloists, and the band heated up in the out-chorus. They played an old public-domain blues, still warming up the fingers. Then began about 45 minutes of music that represented the best of what you can get, on the best of nights, from experienced, ornery types. Song after song, with endless differences in the shadings and rhythms of his vocal phrasing, and with modest, clear-minded guitar solos, Mr. Haggard made copyright a dead issue. He used his restlessness to melt down his hits, to undo them and turn them back into process and possibility. He worked within the changing spaces of a flexible band; he sang the first verse of “Sing Me Back Home” by himself. He smuggled the line ‘Honey, don’t worry about what George Bush does into the lyrics of “That’s the Way Love Goes”; he ordered solos in “I Think I’ll Just Stay Here and Drink”; he engaged Mickey Raphael, the harmonica player from Mr. Nelson’s band, who played short solos and obbligatos as if he were another guitarist. Mr. Price reappeared for a few songs from the record, including two from the great ark of Wills (“Roly Poly” and “Please Don’t Leave Me Any More Darlin’) and a rising-to-the-occasion version of “Night Life” in which he and the band slowly surged to a thundering final chorus. This was a more orderly part of the show: elegant, old school, moving. The evening finally turned into the hero-worship stage, with Mr. Nelson taking over. You probably know the coordinates: amiable-vagabond music (“Whiskey River? and “On the Road Again”) and a funny new song called “You Don’t Think I’m Funny Anymore.”  It was all better than good. But that delicate, tenebrous, alchemical middle section of the concert: that was something else, something unknowable. In 2007 that Willie Nelson, Merle Haggard and Ray Price recorded their Last of the Breed album, of western swing, country classics and some of the best country music ever written — most of it by them. The artists took their show on the road and toured in support of the album in March of that year.. Thanks to Cherie for sending her slide show with pictures she took at a Last of the Breed tour. 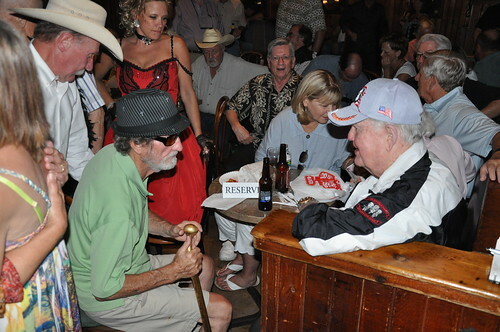 Freddy Powers and Coach Royal, at Coach Royal’s birthday party at Saxon Pub two years ago.